Aerial combat during the Second World War exposed pilots and air crews to a terrifying array of stresses, dangers, risks and miseries. Many sorties, especially bombing ops, lasted six to ten hours and even longer. Toileting under these conditions was done only when necessary, and had its own attendant risks and bad outcomes. 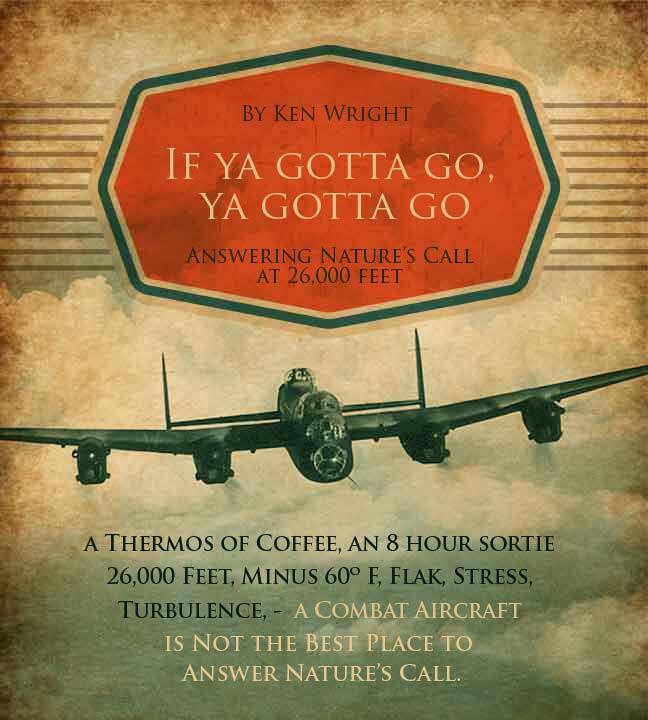 Author Ken Wright has plumbed the depths of this topic.